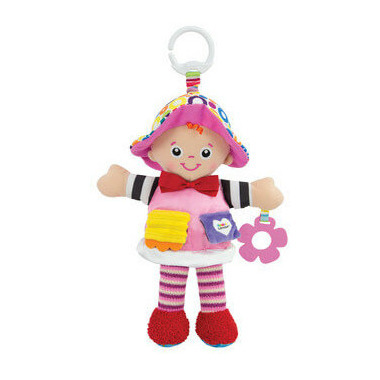 Lamaze Clip and Go features whimsical, lovable characters each with their signature Lamaze link. Hook it to a diaper bag or stroller for easy on-the-go play. Baby can explore dress flap pockets to find a surprise discovery mirror and soft flower.